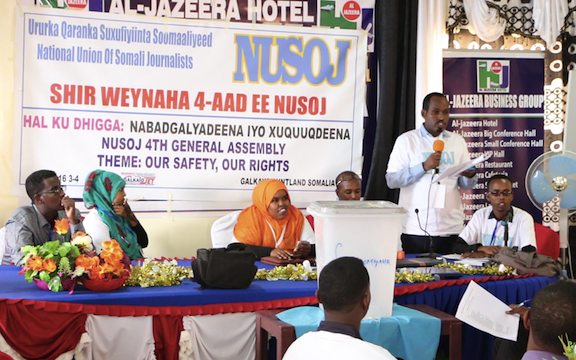 The fourth General Assembly of the National Union of Somali Journalists (NUSOJ) elected yesterday a new leadership. The 66 delegates representing 658 union members in six branches heard presentations from 18 candidates vying for the 13 seats on the union’s two leadership bodies – the Supreme Council and Executive Committee. 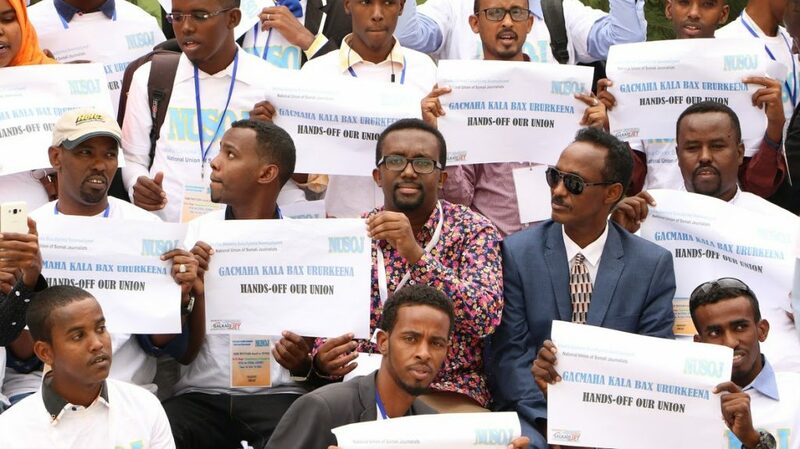 The elected national office bearers are: Abdirisak Omar Ismail (President), Ali Ilyas Abdullahi (Senior Vice President), Abdi Adan Guled (Vice President), Osman Adan Areys (Vice President), Omar Faruk Osman (Secretary-General), Awil Mohamud Abdi (Organising Secretary) and Farah Mohamed Yusuf (Treasurer). 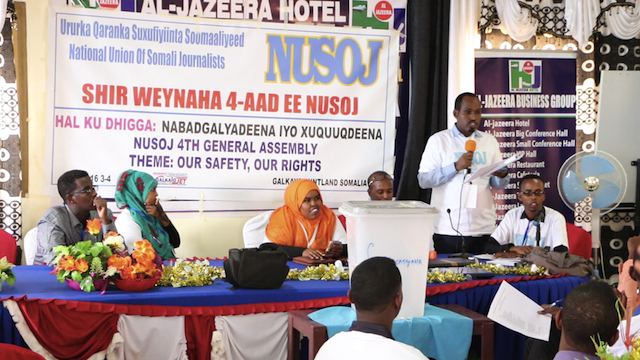 Delegates gave the new leadership a tough mandate to steer NUSOJ for the next three years taking up the twin themes of the General Assembly – Safety and Rights. 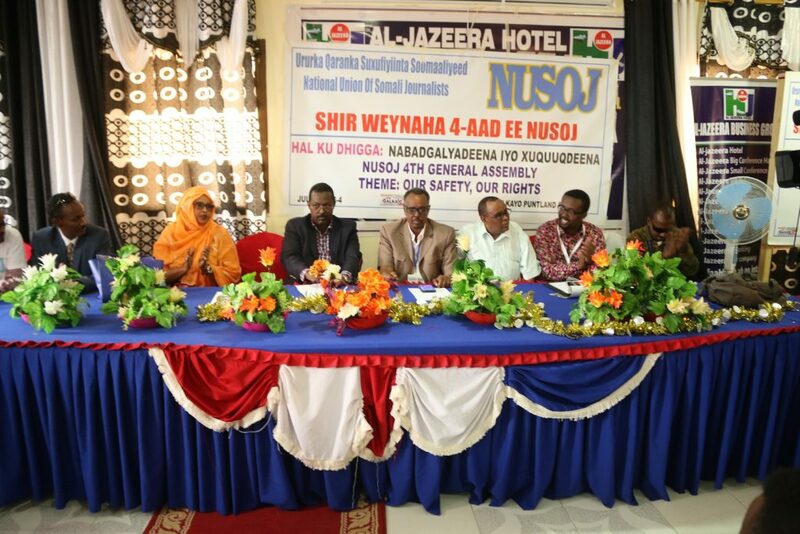 The fight against impunity remains one of the top priorities for NUSOJ in one of the most dangerous country in the world for journalists with more than 65 murdered in 10 years. 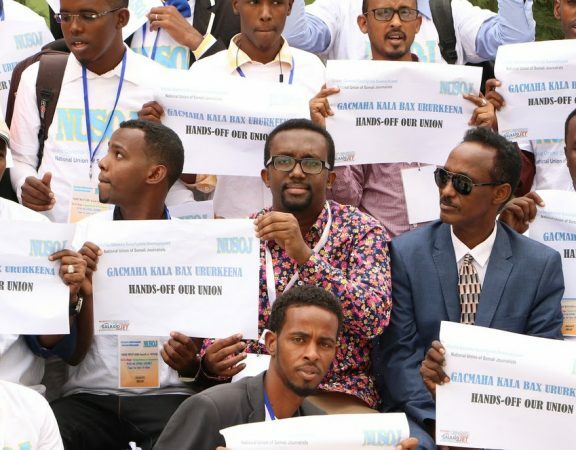 The other task remains the fight for better working conditions for journalists, promotion f ethical and responsible journalism, union organizing and increase of membership density, having to confront belligerent employers supported by anti-trade union elements within the country’s government. 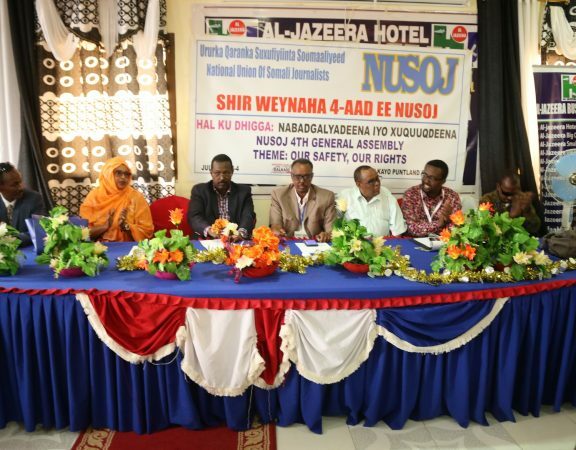 Journalists’ unions from around the world and ITUC-Africa have rallied in support of NUSOJ and its newly-elected leadership by sending messages of solidarity and good wish.